Eltham farmer’s market is currently on hold until further notice. 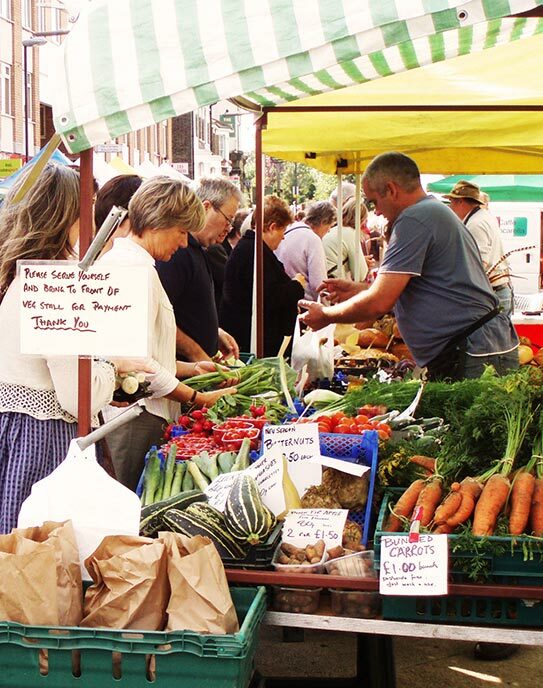 Our Eltham farmers’ market at Passey Place in the Royal Borough of Greenwich has been running since 2007 and is a firm favourite among locals. Located not far away Eltham Palace – one of the few important medieval royal palaces in England to survive with substantial remains intact. Farmers and producers who attend Eltham offer a wide range of foods and fare from Kent, Essex and Cambridge. All the stalls are run by the farmer or someone directly involved in the production which means you have the chance to find out more about the food you are buying – or simply glean some expert cooking tips or swap recipes. With more than 10 stalls showcasing home-grown, local produce this is a growing market that regularly attracts more than 500 visitors and is a must-attend for foodies and fans of markets.